Wilderness Shout are an Alt Pop band from Sydney, Australia. Starting out as a two man + laptop operation, Elijah Moore (vocals) and John Lawrie (guitar)'s basement soulful electronic vibes sparked the start of Wilderness Shout. Seeing the potential for something great, Douglas Lawrie (bass) joined, and shortly after grew to four following the addition of Lewis New (drums). Teaming up with some of the industry's finest including Chris Collins of Tiger Town (Skegss and also Ruby Fields), Wilderness produced and released the first single to their upcoming EP; Monster and cemented themselves as one to watch. The band’s combined experience, skill, level of talent and genuine love of the art create an electric energy on stage, bringing the room to life with their music, moves and all round engaging performance. 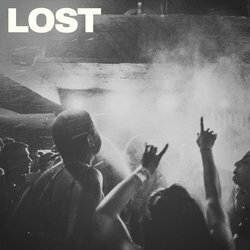 LOST is the newest release from Alt-Pop band Wilderness Shout. Floating over a delicate swirl of electronic melodies before diving below the surface, the new single weaves together the very best of pop, rock and electronica to deliver a sound and dynamic journey all of its own.